a delicious soup made with a hearty chicken broth, corn tortilla chips. monterey jack cheese, and chunks of fresh avocado. 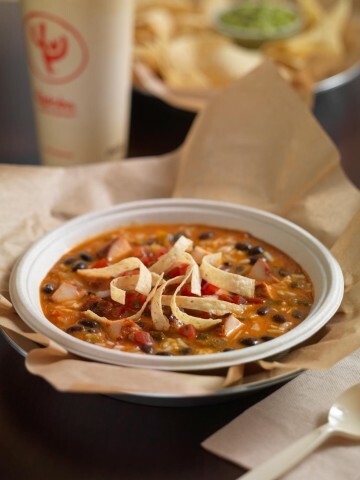 a delicious soup of whole pinto or black beans topped with tomatoes, onions, cilantro and avocado. crispy flour tortilla slices filled with monterey jack cheese. served with guacamole, sour cream and tomatoes. corn tortilla chips topped with refried beans, green tomatillo sauce, melted monterey jack cheese, tomatoes and green onions. jalapenos upon request. corn tortilla chips topped with refried beans, green tomatillo sauce, melted monterey jack cheese, guacamole, sour cream, tomatoes and green onions. jalapenos upon request. crispy mini rolled flour tortillas filled with chicken. served with guacamole, sour cream and tomatoes. two soft handmade corn tortillas with specially prepared cod fillets, topped with creamy yogurt dressing, lettuce and "pico de gallo". two soft handmade corn tortillas filled with flame-broiled top sirloin, topped with "pico de gallo". 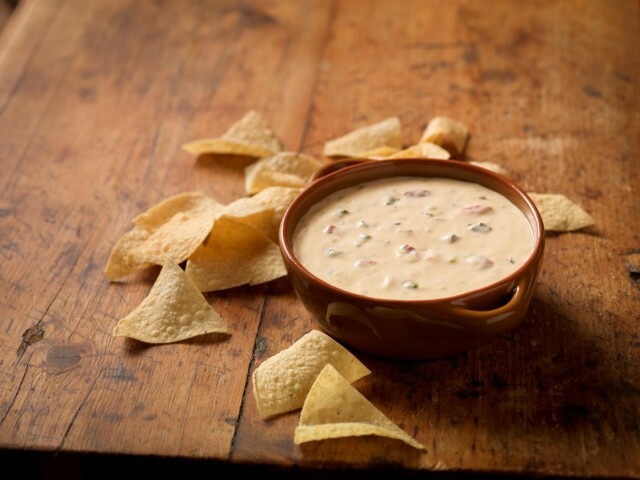 creamy melted cheese dip made with authentic mexican cheese and mixed with mild green chilies, red bell peppers, chorizo, and jalapenos. romaine lettuce topped with tomatoes, olives, red bell peppers, avocados, corn and monterey jack cheese. served with our own special avocado vinaigrette. bay shrimp on top of fresh romaine lettuce with tomatoes, olives, corn, red bell peppers, and avocados. served with our own special avocado vinaigrette. grilled boneless breast of chicken on top of fresh romaine lettuce with tomatoes, corn red bell peppers, avocado, queso fresco, and our own special avocado vinaigrette. a crispy corn tortilla topped with (beef, chicken or beans). lettuce, tomatoes, sour cream, avocado slices and monterey jack cheese. served with spanish rice and refried beans. All Entrees Include Spanish Rice, Refried Beans And Homemade Coleslaw. Complement Your Meal With Some Deep-fried Jalapenos $0.95 A Real Mexican Delight! one enchilada topped with spanish sauce, sour cream, onions, and monterey jack cheese: one enchilada topped with green tomatillo sauce, sour cream. onions, and monterey jack cheese (chicken ground beef, shredded beef or cheese). two enchiladas topped with green tomatillo sauce, sour cream, onions, and monterey jack cheese (chicken ground beef, shredded beef, or cheese). two enchiladas topped with our very special dark mexican sauce, sour cream, onions, and queso fresco (chicken ground beef, shredded beef, or cheese). two crispy rolled flour tortillas filled with your choice of chicken or shredded beef. topped with sour cream, guacamole, tomatoes, green onions, and queso fresco. our enchilada (chicken, ground beef, shredded beef or cheese). topped with green tomatillo sauce, sour cream, onions, and monterey jack cheese: one flauta (chicken, shredded beef, or chorizo sausage), topped with sour cream, guacamole, onions, and queso fresco. two crispy rolled corn tortillas filled with chicken, shredded beef, or chorizo sausage and topped with sour cream, guacamole, onions, and queso fresco. one enchilada (chicken, ground beef, shredded beef, or cheese) topped with green tomatillo sauce, sour cream onions and monterey jack cheese; one chile relleno stuffed with cheese and topped with spanish sauce. three crispy mini rolled tacos filled with chicken, monterey jack cheese, and topped with pico de gallo. served with spanish rice, refried beans, sour cream, and guacamole. one enchilada (chicken, ground beef, shredded beef, or cheese) topped with green tomatillo sauce, sour cream, onions, and monterey jack cheese; chile verde tender chunks of pork simmered in a slightly spicy green tomatillo sauce. served with spanish rice and refried beans. three fried egg served on top of a soft corn tortilla with spanish sauce and melted monterey jack cheese. served with spanish rice, refried beans and tortillas. mexican spiced sausage scrambled with eggs and served with spanish rice, refried beans, and tortillas. 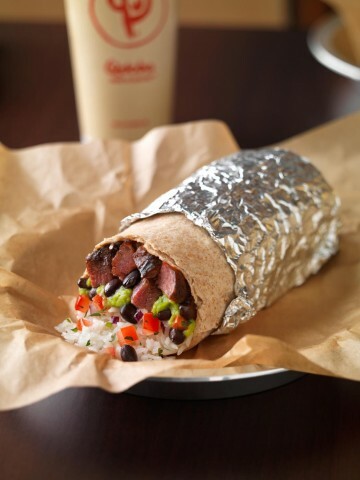 All Burritos Include Spanish Rice And Refried Beans On The Side (except The Expresso Burrito). a flour tortilla filled with your choice of (chicken, ground beef, shredded beef, or pork). spanish rice, refried beans, then topped with a mild red sauce, melted monterey jack cheese, sour cream, guacamole, tomatoes, onions, and grated cheese. a flour tortilla filled with sauteed (chicken, steak, or shrimp). onions and bell peppers. topped with a mild red sauce, melted monterey jack cheese, sour cream and guacamole. served with spanish rice, refried beans, sour cream and guacamole. a flour tortilla filled with your choice of (chicken, ground beef, shredded beef, of pork) topped with a mild red sauce and melted monterey jack cheese. a flour tortilla filled with mexican sausage scrambled with eggs, topped with a mild red sauce, melted monterey jack cheese, sour cream, guacamole, tomatoes, onions, and queso fresco. served with spanish rice and refried beans, sour cream and guacamole. All Entrees Include Spanish Rice, Refried Beans And Homemade Coleslaw. Try Our Homemade Made Fresh Daily - $3.95 Additional Sour Cream - $1.25. choice of one: avocado tostada or empalmada and choice of one: chimichanga or burrito. All Entrees Include Spanish Rice, Refried Beans And Homemade Coleslaw. ground beef, shredded beef, chicken or cheese. shredded beef, chicken or chorizo. Complement Your Meat With Some Deep Fried Jalapenos $0.95 A Real Mexican Delight! prawns sauteed in butter, garlic and brandy with tomatoes, onions, mushrooms, and bell peppers. served with spanish rice and whole black beans. prawns sauteed with tomatoes, onions, and mushrooms on a bed or rice and melted cheese, topped with our own special sauce. served with whole black beans, sour cream, and guacamole. three soft corn tortillas filled with specialty prepared cod fillets and topped with lettuce, tomatoes, onions, cilantro, and a creamy yogurt dressing. served with spanish rice and whole pinto beans. three soft flour tortillas filled with sauteed shrimp and topped with fresh cabbage and lime wedges. served with spanish rice, whole pinto beans and colslaw. two crab-filled enchiladas topped with green tomatillo sauce, sour cream, onions, and monterey jack cheese. served with spanish rice and refried beans. two fresh roasted poblano chilies filled with crab and monterey jack cheese. topped with spanish sauce, sour cream, and green onions. served with spanish rice and whole black beans. prawns sauteed with mushrooms, green onions, and cilantro in garlic butter and wine. served with spanish rice and whole black beans. halibut sauteed with creamy chipotle sauce. 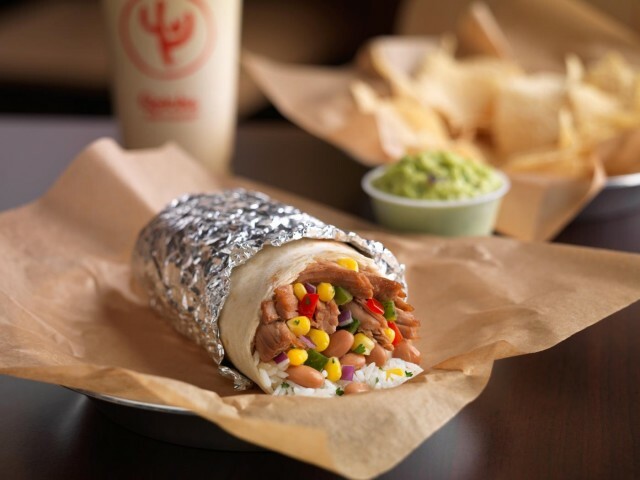 served with spanish rice, whole black beans and your choice of flour or our fresh homemade corn tortillas. boneless breast of chicken marinated with fresh herbs, charbroiled and finished with a creamy chipotle sauce. served with spanish rice, whole black beans, and your choice of flour or fresh handmade corn tortillas. tender chunks of chicken sauteed with tomatoes, onions, mushrooms, and bell peppers. served with spanish rice, whole black beans and tortillas. tender chunks of chicken breast sauteed with mushrooms tomatoes, and onions and our own special sauce on top of a bed of rice with melted monterey jack cheese. 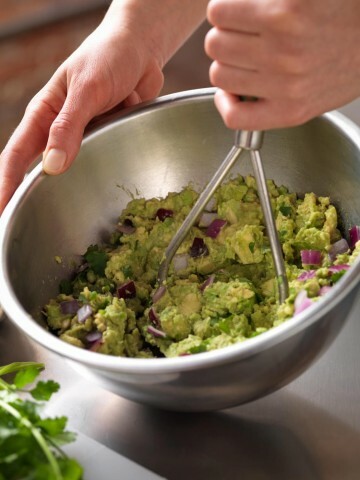 served with whole black beans, sour cream, guacamole and your choice of flour or fresh handmade corn tortillas. boneless breast of chicken topped with a slightly spicy mexican sauce. served with spanish rice, whole pinto beans, and tortillas. sample of sauce available upon request. four soft fresh handmade corn tortillas filled with flame-broiled top sirloin steak or chicken, tomatoes, onions and cilantro. served with spanish rice, refried beans and guacamole. tender strips of top sirloin steak sauteed with mushrooms, onions bell peppers, tomatoes, and a spicy chipotle sauce. served with spanish rice, refried beans, guacamole, and tortillas. a specialty prepared center cut top sirloin steak, flame-broiled to your liking. served with spanish rice, refried beans, tomatoes, jalapenos, green onions, guacamole, pico de gallo, and tortillas. (friday & saturday evening only.) tender chunks of browned pork served with spanish rice, refried beans, guacamole and your choice of flour or fresh homemade corn tortillas. your choice of chicken, steak, or shrimp: marinated with a special blend of spices then delivered sizzling hot on a bed of sauteed onions and bell peppers. served with spanish rice, refried beans, sour cream guacamole tortillas, and pico de gallo. a whole wheat tortilla filled with spanish rice whole pinto beans, topped with a mild red sauce, melted monterey jack cheese, lettuce, sour cream, guacamole, onions, tomatoes, corn, black olives and red bell peppers. 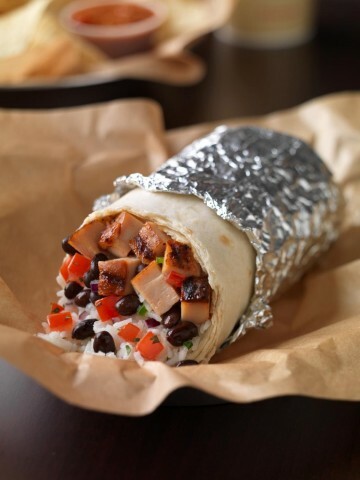 served with whole black beans. a crispy corn tortilla topped with whole black beans, our own delicious vegetable, medley, lettuce, sour cream, guacamole, onions, tomatoes, corn, black olives, red bell peppers, and a sprinkle of monterey jack cheese. served with spanish rice and whole black beans. two crispy rolled flour tortillas filled with whole black beans and monterey jack cheese, topped with sour cream, guacamole, tomatoes, green onions, corn, and queso fresco. served with spanish rice and refried beans. two fresh roasted poblano chilies filled with monterey jack cheese and our own delicious vegetable medley. topped with spanish sauce, sour cream, and green onions. served with spanish rice and whole black beans. two thick corn patties, one topped with a spanish sauce, whole beans, sour cream, guacamole, onions, and queso fresco: one topped with green tomatillo sauce, whole black beans, sour cream, guacamole, onions, and queso fresco. served with spanish rice and whole pinto beans.